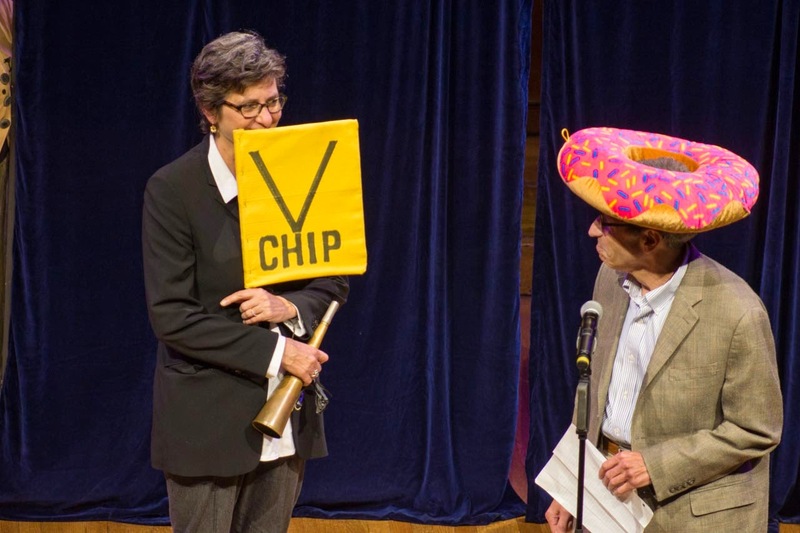 The annual Ig Nobel Prizes honor science that "makes you laugh, then makes you think." 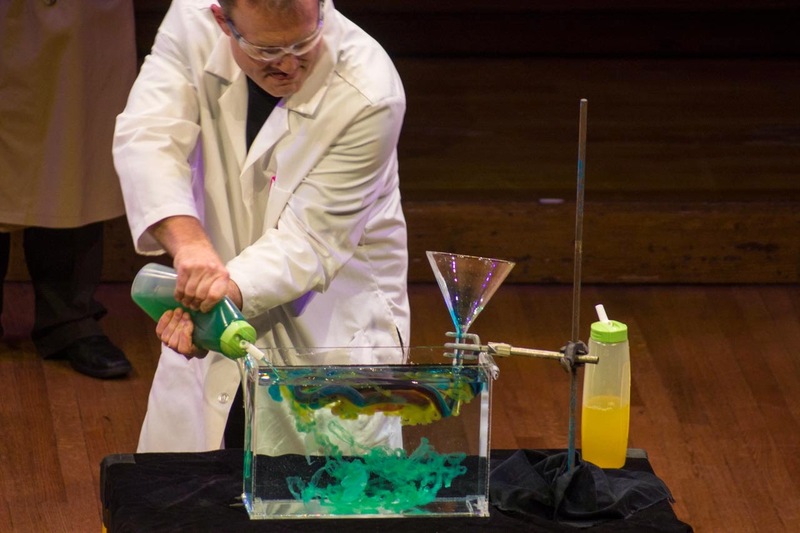 It recognizes the quirky, silly, unorthodox and far-out research that has real science behind it. 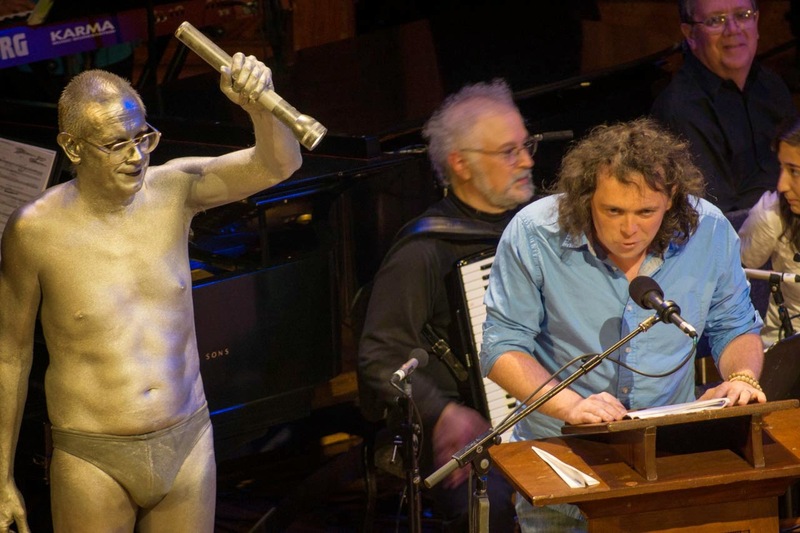 It's also, hands down, the most fun you can have at an award ceremony all year. 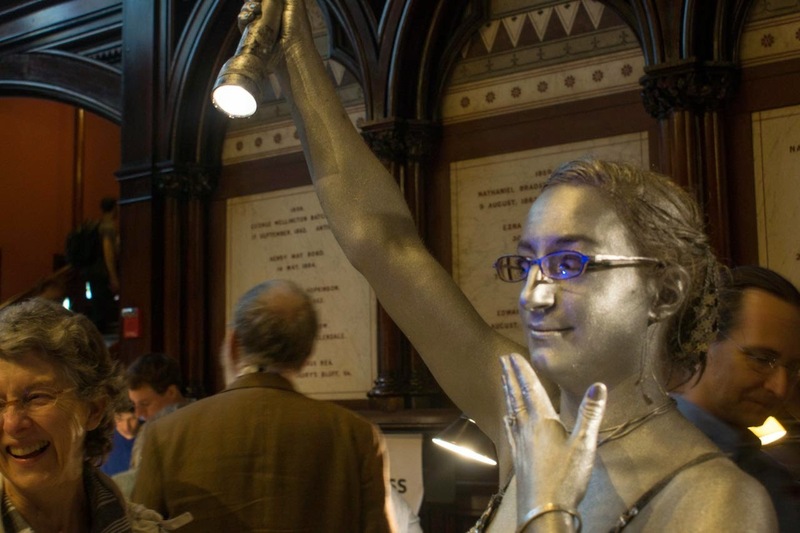 Natasha Rosenberg, aka "The Human Spotlight" illuminates the way for an Ig Noble aficionado before the ceremony. 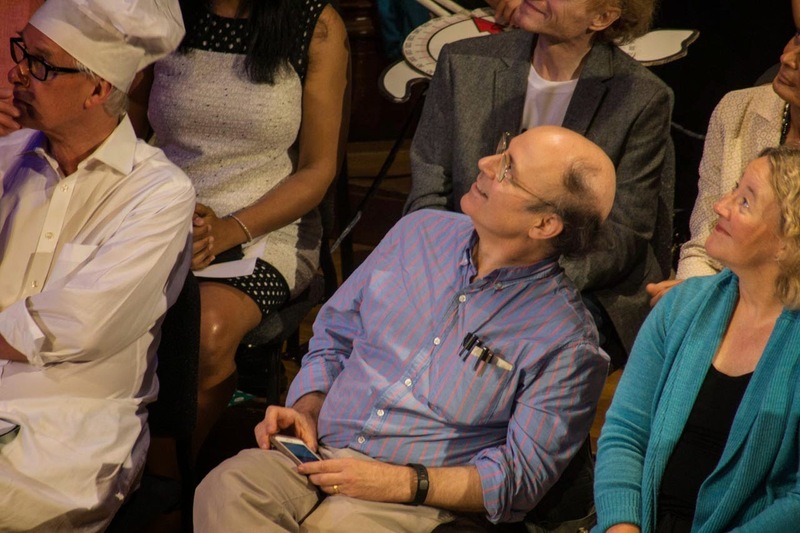 Nobel laureate in physics, Frank Wilczek keeps an eye on the ceiling. 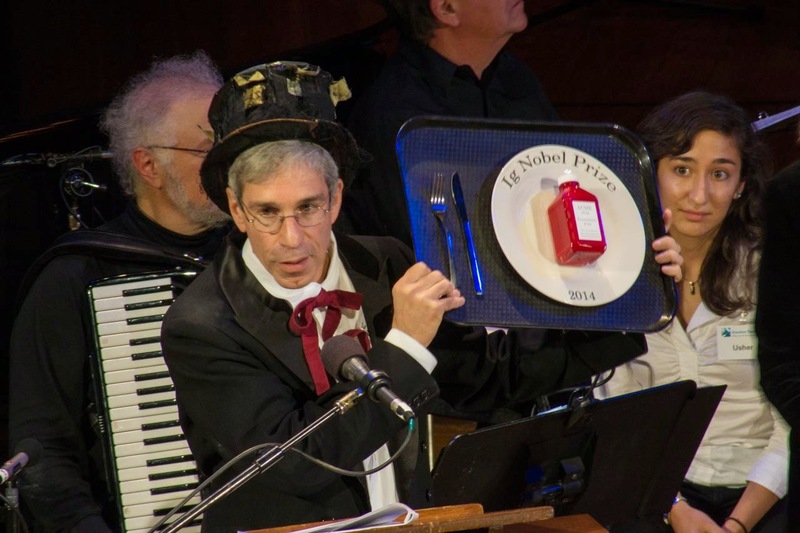 A number of Nobel winners are kept on hand to hand out the Ig Nobel prizes. 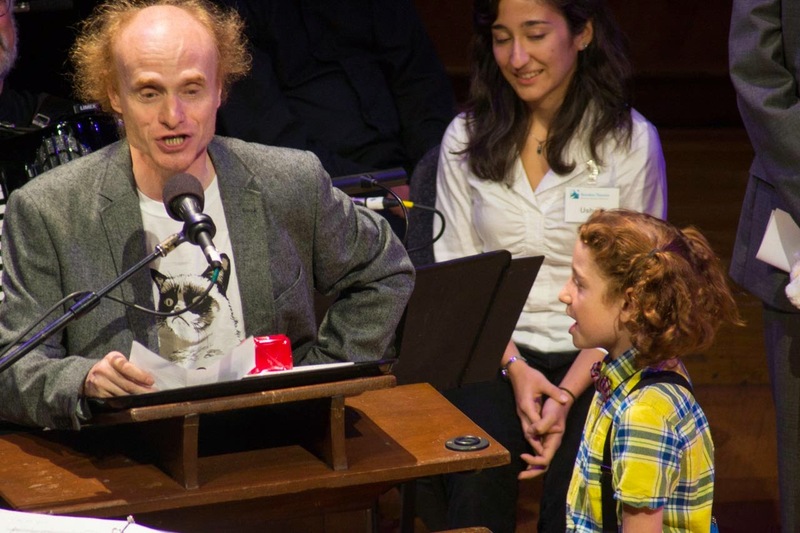 The ceremony is held at the Sanders Theater at Harvard, where you can't swing an ivy vine without hitting a Nobel laureate. James Harkin, lead writer for the British TV show QI, opens the ceremony with the illumination help of night's night's other Human Spotlight, Jim Bredt who is also one of the inventors of 3-D printing. 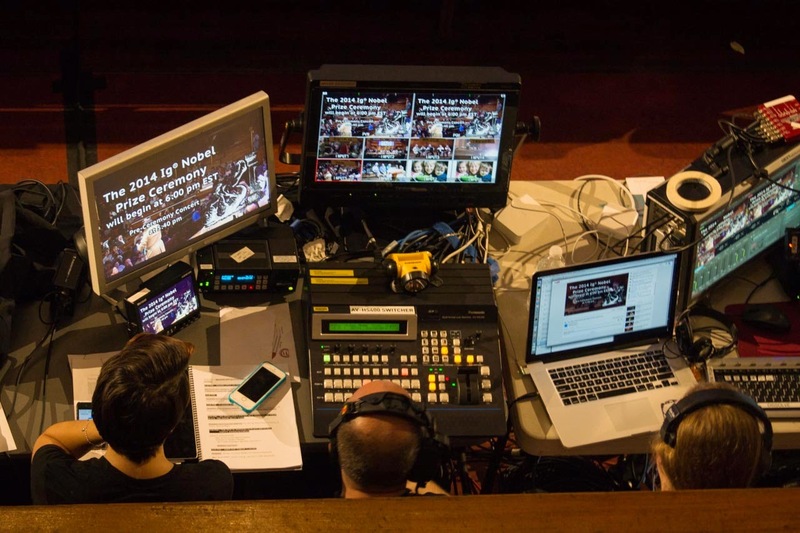 Mission control is ready for the show. 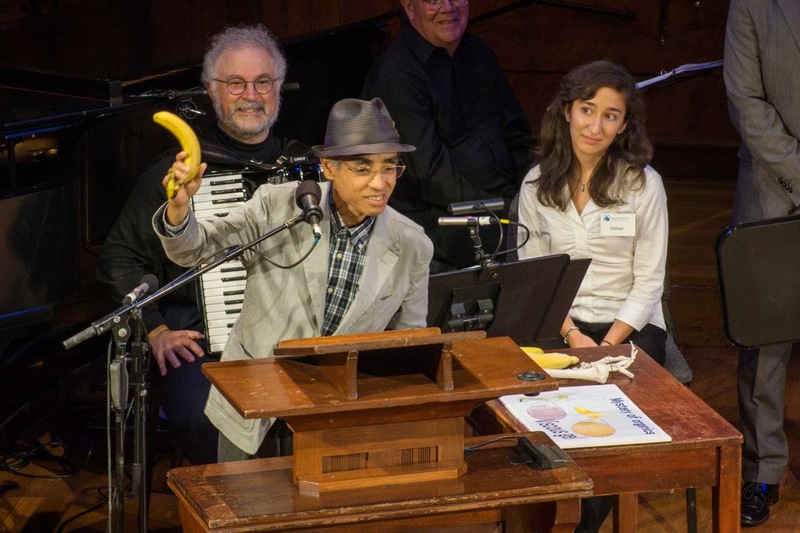 Kiyoshi Mabuchi brandishes a banana after winning the physics prize for studying the frictional coefficient of slipping on a banana peel. 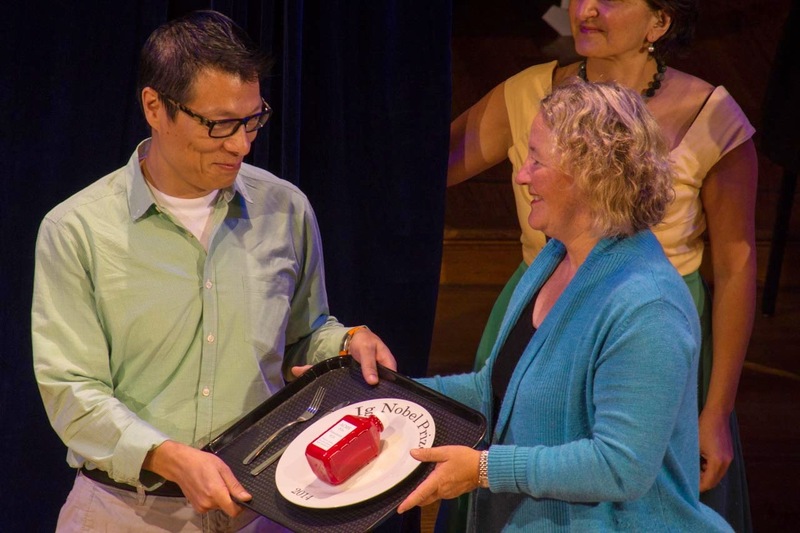 University of Toronto neurologist Kang Lee accepts his team's neuroscience prize from Nobel laureate Carol Greider, for studying why people claim they see Jesus in unexpected places. Sometimes speeches run long, like Jaroslav Flegr did when he accepted the public health prize for researching the dangers of cat ownership. The solution: Little Miss Sweetie-Poo is on hand to insist that the speaker "Please stop, I'm bored!" 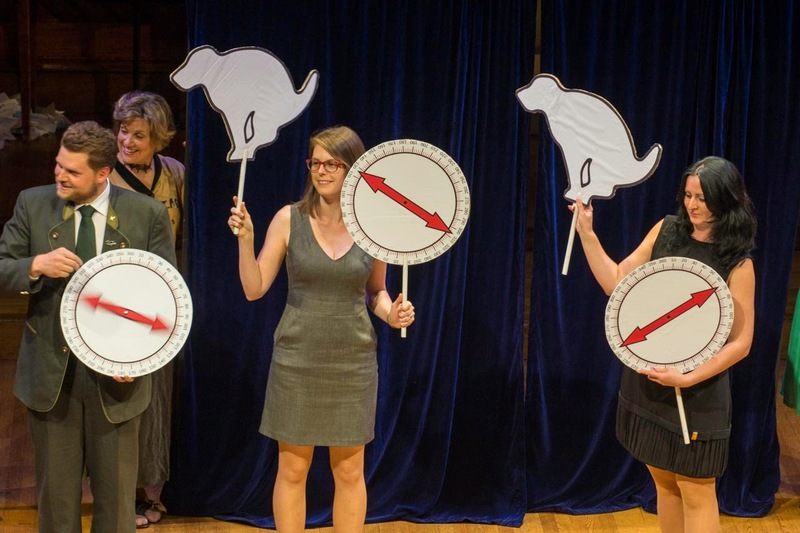 …Though the team that won for their research into the magnetic alignment of pooping dogs got the OK.
A break in the action for a "Moment of Science." 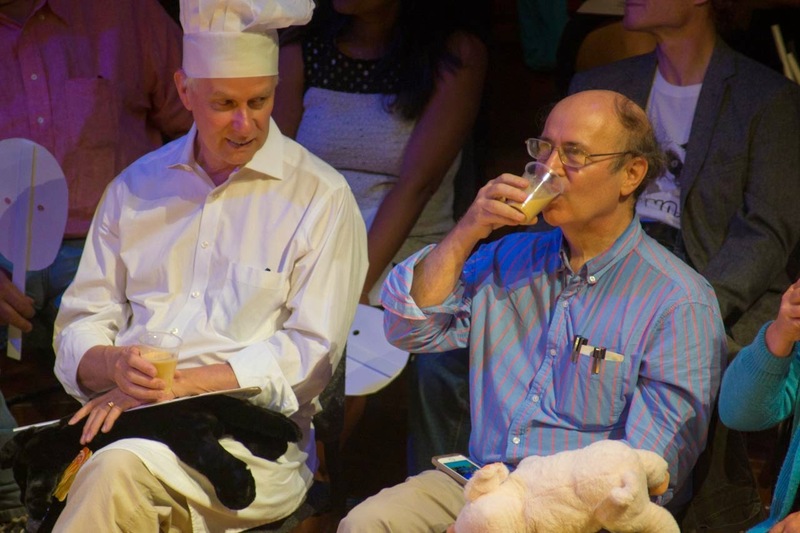 Wilczek enjoys a nice frosty glass of the food substitute Soylent. Fellow Nobel laureate Richard Roberts, is having none of it. 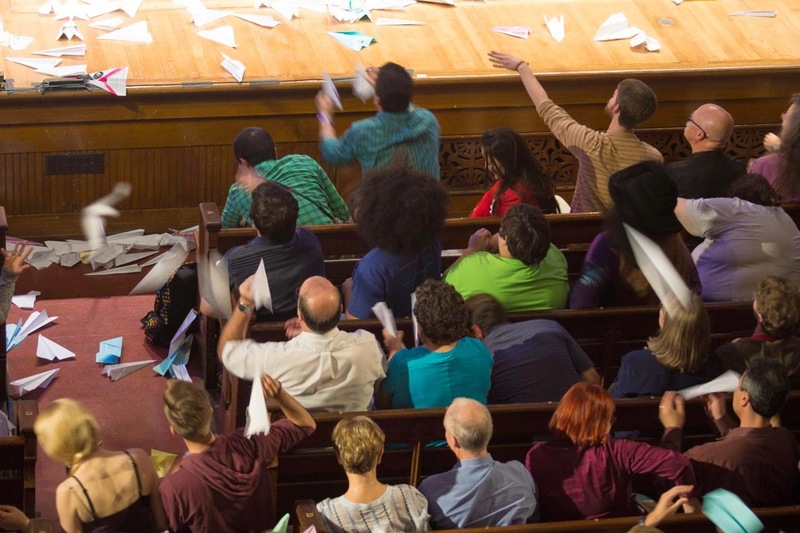 At specific pre-approved times in the evening, the crowd was encouraged to get rowdy and pummel the stage with paper airplanes. 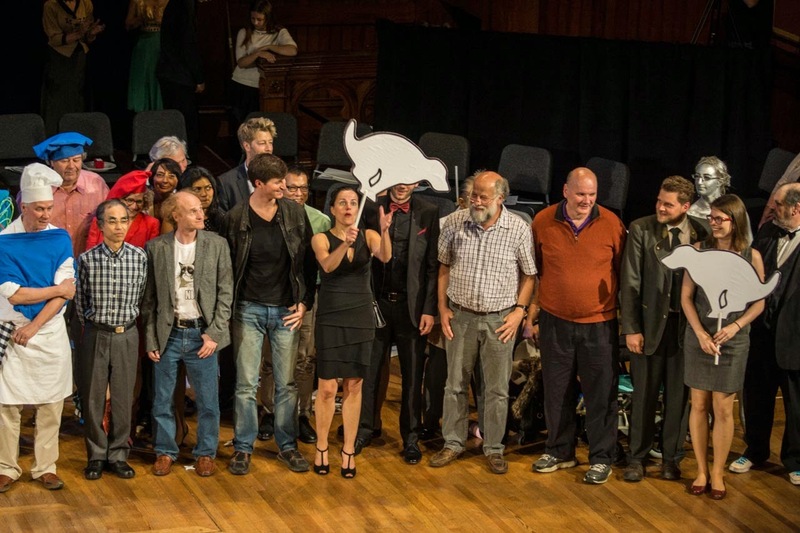 The traditional obligatory group photo-op brings winners, organizers, special guests and cardboard canine cutouts to the stage. It was a whirlwind of a ceremony and I can't wait for next year! Fixed it! Thanks a bunch for catching that.